The Philippines’ housing market remains strong, with the average price of 3-bedroom condominium units in Makati CBD rising by 9.91% during 2018, after y-o-y rises of 7.34% in 2017, 7.54% in 2016, 12.58% in 2015, 5.1% in 2014, 10.22% in 2013 and 39.18% in 2012. Housing prices increased strongly by 5.55% during the latest quarter. 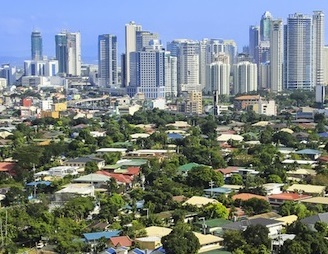 Makati CBD property prices have risen by almost 132% from 2010 to 2018, amidst rapid economic growth. Yet prices are not high, and yields are good, and the Philippine economy is in the 7th year of strong growth. Recent news: In 2018, the Philippine economy expanded by about 6.2%, according to the Philippine Statistics Authority. It was lower than the average annual growth rate of 6.6% from 2012 to 2017 but still places the country as among the fastest growing economies in Emerging Asia. The economy is expected to grow at a faster pace of 6.7% this year, amidst improving macroeconomic conditions and slowing inflation, according to ADB President Takehiko Nakao.